Sales people often are promoted into sales manager positions – primarily based on their sales success.The look at this from a relationship perspective and examine how a sales person can make the transition from sales person to sales manager. 1. Perspective changes: Most salespeople are largely concerned with doing a good job at their assigned tasks and planning how to get ahead managers, however, must keep the big picture in mind, considering the impact of plans and decision on the goals and well-being of the group and the organization as a whole. 2. Goals change- A manger in primarily concerned with meeting the organizations goals. In contrast, a salespersons focus is on meeting personal goals. 3. 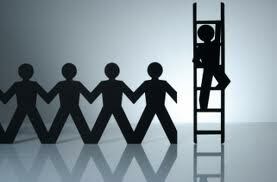 Responsibility change– A managers supervise and speak for a group of people, in addition to completing administrative task. As a person moves up in the management ranks, more and more time is spent achieving result through other than on selling. 4. Satisfaction changes- Because a manager does less of the actual sales and customer work, satisfaction come from watching others succeed rather than from the sales work itself. 5. Job skill requirements change- Technical competence is important for managers, but possessing additional skill is vital, to success. Managers must become proficient at communicating, delegating, planning, managing time, directing, motivating, and training others. 6. Relationship change- A manger must new relationship with former peers, other manager, and a new supervisor or not the manager whether or not the manager alters his or her behavior toward them.